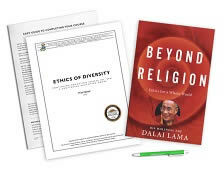 Do you have the Beyond Religion: Ethics for a Whole World textbook? See your enrollment options above for "I already own the text". Construct a definition for secular ethics and what it means to enjoy mutual tolerance and respect for all. Discuss the elements of a shared human experience: identity, perspective, equality, empathy and suffering. Differentiate between the two levels of satisfaction we experience in the quest for happiness. Define compassion as a concept and examine examples of compassion in a variety of situations. Differentiate between justice and vengeance, examining the principles of compassion, punishment and fairness in dealing with those who perpetrate violent acts. Identify the Ethics of Restraint, the Ethics of Virtue, and the Ethics of Altruism and how to apply them in everyday life. Recognize destructive emotions and learn ways to take a stance of opposition toward these emotions. 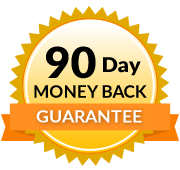 Discover how to integrate key inner values of patience, forbearance, contentment, self-discipline and generosity into our own inner value system. Analyze the key human values of patience, forbearance, contentment, self-discipline and generosity and consider how they impact our system of ethics. Review techniques for transformation, including meditation and mental cultivation. Define key terms of diversity, including: diversity, culture, race, ethnicity, tolerance, assimilation, stereotype, prejudice, discrimination, racism. 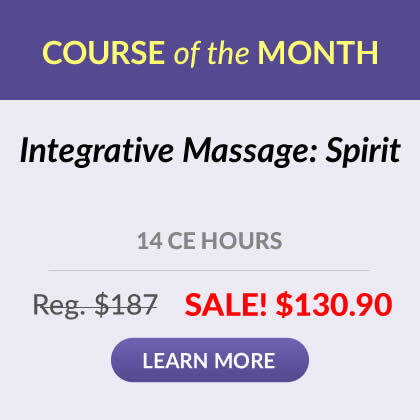 Discuss the purpose of diversity training as pertains to the massage therapy industry. The __________ dimension is the most important aspect of ethics because when our motivation is pure, genuinely directed toward the benefit of others, our actions will naturally be ethically sound.